Brunei has a lot to offer in its shopping centers because the Bruneians themselves love to shop. Shopping is, in fact, one of their favorite sources of entertainment. The shopping center is often their final stop for the day. 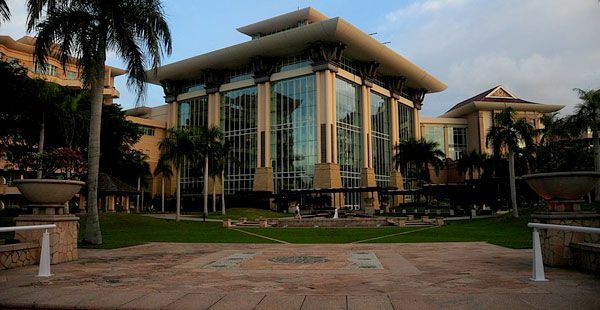 For a selection of goodies and essentials, the Yayasan Sultan Haji Hassanal Bolkiah Complex – better known as the Yayasan Complex – is the place to go. Jewelry, kitchenware, specially made items such as handwoven baskets – name it and it’s in Yayasan. Another good place to shop is in Bandar Seri Begawan’s Tamu night market. Here you can find plenty of stalls selling local produce such as fresh fruits and different kinds of vegetables, which you can get at very affordable prices. You can also buy yourself exquisite antiques and souvenirs here. You’ll never run out of food choices in Brunei. 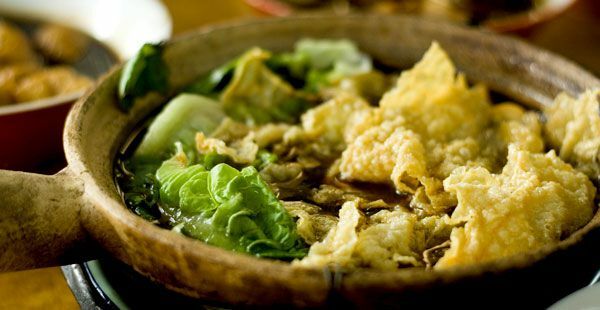 Just take a walk along the road, and you’ll find mouth-watering dishes at relatively cheap prices in roadside eateries. Try out the different variants of noodles, grilled fish, and roasted chicken you’ll find. And if you have a bigger budget, you can treat yourself to delicious cuisines, especially seafood, at plush restaurants all over the city. These restaurants do not only offer good food but also a warm and relaxing ambience. However, if you’re used to fast food and can’t live without it, there are also several fast food outlets scattered all over Brunei. You won’t need to miss your daily dose of McDonald’s or Kentucky Fried Chicken – if you came all the way to Brunei to eat fast food! Kampong Ayer, the famous “floating village” in Brunei, is best discovered by boat, of course. The river tour gives you not just a sightseeing tour of Brunei but also a good feel of its history since the country’s main mode of transportation in the past was mainly by watercraft. The journey starts from Brunei’s main commercial port and naval base, the Muara Harbor. As the tour goes upstream, you’ll get to see local villagers fishing in the river. You’ll also get a good view of the fish farm. Farther along the cruise, you will pass by the Royal Palace itself, in all its splendid glory. You’ll also see a riverside golf course. The Brunei River Cruise also offers tourists a unique view of the mangrove forests and its inhabitants. The main features of the river tour, however, are the houses that seem to be floating on the water. Built on stilts right within the river instead of at the banks, like most of the world’s river villages, these water houses maintain a present-day link with Brunei’s seafaring past. Not only are they an interesting tourist attraction, they are a cultural heritage that the government of Brunei is taking pains to preserve. Brunei boasts of natural wonders that every tourist would find pleasure in seeing. Rare species of animals such as the proboscis monkey, the five-lined flying lizard, and Rajah Brooke’s birdwing butterfly give life to the country’s lush forests. You can meet these animals when you take the river cruise at Kampong Ayer, or you could find them while you take a relaxing afternoon stroll at the Temburong National Park. Bruneians are sports enthusiasts. Their country has a number of sports complexes, stadiums, and golf courses, so no matter what sport you like to play, you’ll never be at a loss for a venue to play in. If you like soccer, you’ll be glad to know that it’s one of the most popular sports in Brunei. You can also try badminton, tennis and motor sports. If you like water sports, tourists are welcome to go swimming, jet skiing and skin-diving in resorts of their choice. For golf lovers, plenty of hotels such as the Empire Hotel and Country Club offer golf courses. And you’ll love the facilities; they are so well maintained. In fact, because of the world-class quality of its sports facilities, Brunei is often chosen as the venue for different international sports competitions.